Rachel graduated from the University of Birmingham with a BA (Hons) in German Studies and History in 2006. She then completed an MA in International Studies (International Law) in 2008 and completed a Graduate Diploma in Legal Studies in 2009 at the same university. Rachel was awarded a scholarship to research Gender Violence and Refugee Status and was awarded a PhD in this field in 2014. Whilst completing her PhD she taught Public Law and Equity to LLB students. Rachel commenced her training contract in the firm in July 2015 and completed the LPC at BPP in October 2015. She was admitted as a solicitor in July 2017. Rachel joined Wilsons in January 2013. She is an accredited Level 2 caseworker with experience of both legal aid and private asylum and immigration law. Rachel worked as a legal researcher for Number 5 Chambers working on cases such as the Supreme Court case of KM, one of the Appellants in RT (Zimbabwe). In August 2012 she moved to London to take up a legal casework position at the Joint Council for the Welfare of Immigrants. She regularly acts for vulnerable clients, including asylum-seeking children, victims of trafficking and of torture. She continues to focus on victims of gender violence and was nominated for a True Honour award by the Iranian and Kurdish Women’s Rights Organisation. 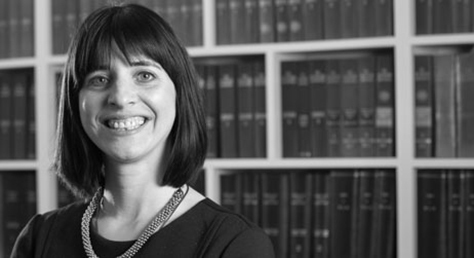 Rachel has written for the Oxford Reports on International Law, the Melbourne Journal of International Law and Solicitors Journal. Languages: German, basic Italian and Cantonese.